This goat’s milk humdinger is the flagship cheese from Vermont Creamery’s line of geotrichum-rinded aged goat cheeses, and it’s for good reason. A swift and delicate process of care and tenderness goes into each and every wheel. The result is a cheese that will stop you in your tracks. 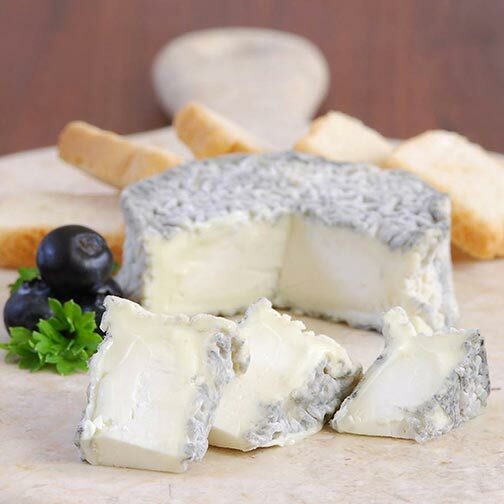 Reminiscent of the beloved Loire Valley cheeses like Selles-Sur-Cher and Saint-Maure, Bonne Bouche is perfectly crafted. The curds are hand ladled, released of whey, placed in the aging room, dusted with veggie ash, and aged for 10 days before being packed and distributed. Beneath it’s fuzzy wrinkles is a languid flow of silky emulsion surrounding a dense patch of creamy piquant paste that’s rich with flavors of funk, mushroom and pepper. An absurdly good delight.